You probably don’t think about your physical work environment very often, unless something is making it uncomfortable. But facilities management professionals put a lot of thought into it, and our Dell Facilities team has been working hard to not only help employees like me more productive, but to also reduce our environmental footprint. Upgrading heating and air conditioning equipment, using more efficient lighting and installing fixtures that use less water are all ways they help us make the progress on our Legacy of Good plan as Trisa Thompson recently shared. And in March 2015, we we achieved our first Leadership in Energy and Environmental Design (LEED) certification for new construction. LEED is an internationally-recognized certification program for green buildings that sets strict criteria for many aspects of a building, such as construction practices, overall design and more. To become certified, project architects and engineers must submit detailed information after construction is complete for rigorous review and scoring. 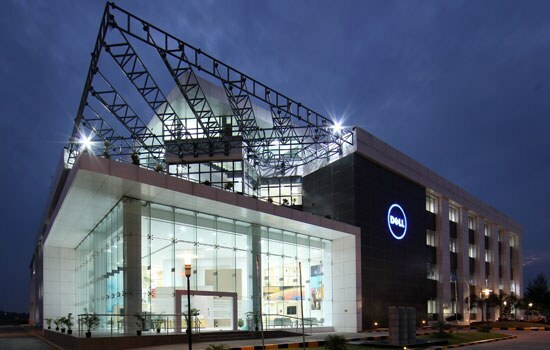 Our latest building in Coimbatore, located in the state of Tamil Nadu in southern India, supports our growing Services activities in the region and is the new home for more than 2,000 Dell team members. 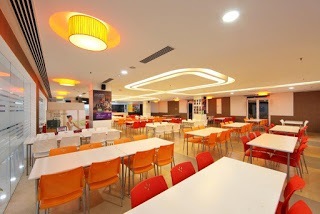 [SG1] The facility recently scored enough points to achieve the LEED Gold designation – the second highest category. This is just the beginning of a new generation of smart, efficient building projects at Dell designed to meet LEED standards. We recently opened a large, leased office building in Noida in Uttar Pradesh state in northern India that we outfitted to meet the LEED Gold standard for Commercial Interiors. Additionally, a new office tower under construction at our campus in Bengaluru, India, is designed to meet the LEED Platinum standards – the highest level possible. The Noida project has been submitted to for LEED certification consideration, and the Bengaluru building will be submitted once it is completed. Outside of India, the Dell Software building in Cork, Ireland that opened in 2012 was designed to LEED Gold standards. Dell also leases considerable space in several other green buildings, including those in Lincoln, Nebraska, and Eden Prairie, Minnesota, and Mexico City. I’m excited about these projects and proud of the global teams’ efforts to make Dell a great – and green – place to work. If you’d like to learn more about our sustainability programs and our Legacy of Good commitments to the environment, people and communities, please visit the Legacy of Good pages, follow the @Dell4GoodTwitter handle and engage with #LegacyOfGood on Chatter.